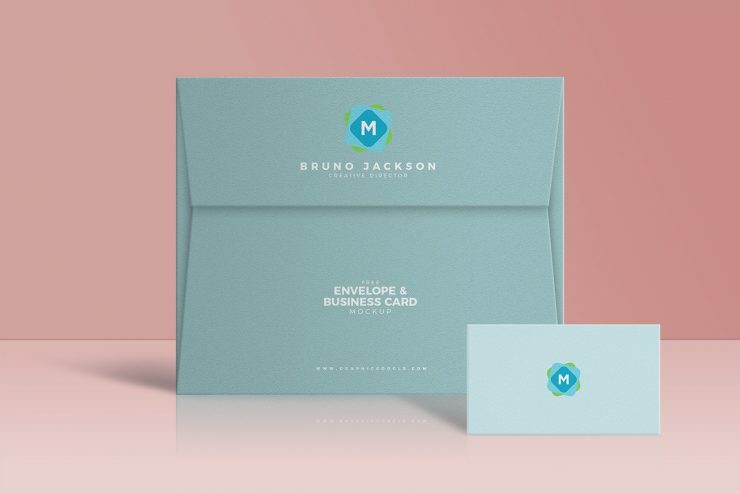 This super-stylish envelope mockup shows both a standing envelope, and a business card. The envelope design is fairly custom, so it’s a good way to show off how something like a wedding invitation or high-end letter would look. It’s simple to change the colour of the design, add your own text, logo, or more full-featured graphic. And you can, of course, remove the business card if you’re just looking for an envelope mockup! It has a whole extra level of detail and custom work compared to a “regular” envelope, and lets you showcase a really unique design.